Bundle site Indie Gala has recently branched out into game development and publishing. One of their two flagship titles on Steam – Early Access survival horror game Die Young – has been received well enough, but the developers believe piracy is enough of a problem to necessitate an unusual solution: Players unable or unwilling to buy the game are able to just download it, directly and DRM free, from the Indie Gala site. 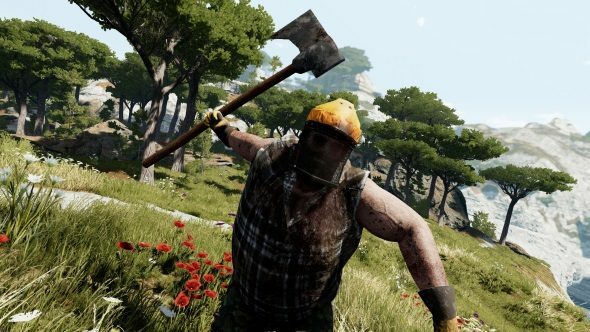 Open-world survival games are a crowded genre. Let us help you pick out some of the best. Speaking candidly, Indie Gala state that piracy is a double-edged sword. For a smaller independent title such as Die Young with little marketing budget, it helps to get eyes on the product, even if they are piratical ones. Less good is that pirated copies tend to be older, less stable builds, and potentially located on malware-strewn sites. The move to just allow access to the game direct seems to be done with the intent of at least converting some would-be pirates to customers as development continues. The offer isn’t permanent, and the version being offered is a static release, rather than offering the rolling updates of Early Access. But from now until the end of December, you only have to sign up on the Indie Gala site in order to access version 0.4.37.18 of the game, which is very close to the current build available on Steam, two days old and short by only one minor hotfix. Die Young is available on Steam now for £11/$15, orIndie Gala for free until the end of the year.